The Women’s Adventure Film Tour has arrived in Canada for the first time ever! We did a pilot screening in Ottawa in October and now we’re back! Women’s Adventure Film Tour features some of the world’s most inspiring women in adventure. This tour is a celebration of the fantastic women around us who are doing extraordinary things. The events aim to promote diversity and inclusion in the outdoor industry and Women, Men and Children are all welcome! In a global first the Women’s Adventure Film Tour was launched to sell-out crowds in Australia in 2017, before touring selected locations in Asia and the United Kingdom. 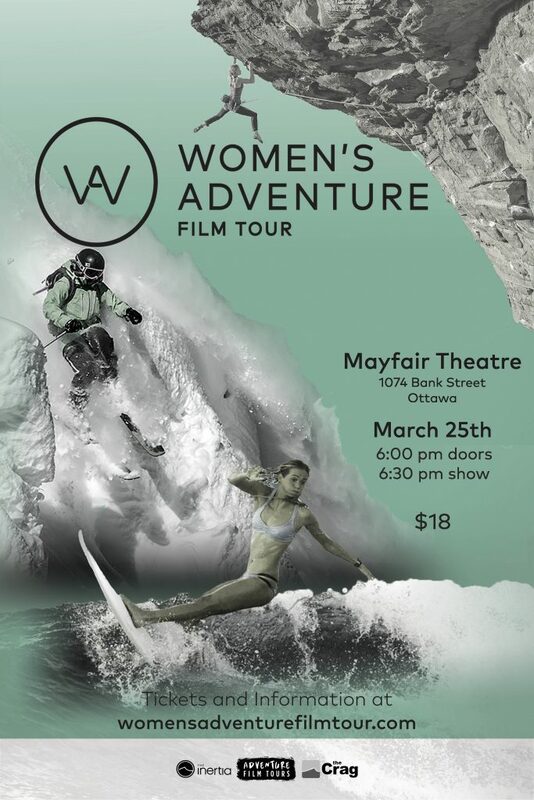 We are pleased to be now bringing the Women’s Adventure Film Tour to Canada for the first time.